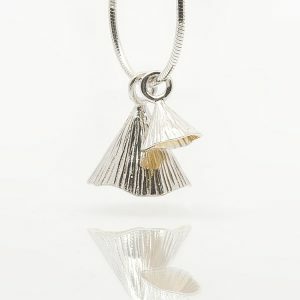 Alan Ardiff Head over Heels Pendant. 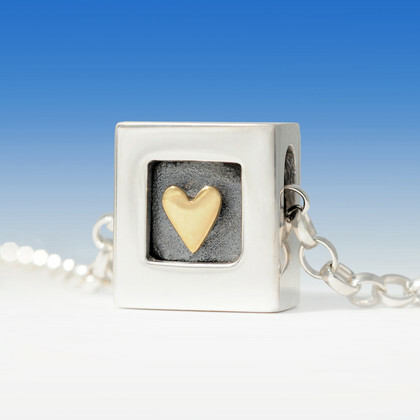 Sterling silver square pendant with recessed 18k gold revolving heart. Chain is 46cm (18″) in length. 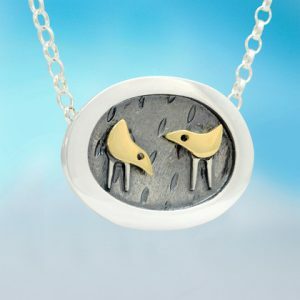 Alan Ardiff Head over Heels Pendant. 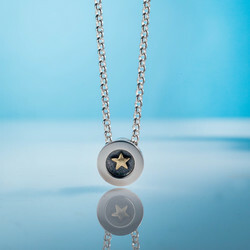 Alan Ardiff Gold Star Pendant. Born in 1965, Alan Ardiff graduated from the National College of Art and Design with a first class degree in Metals. 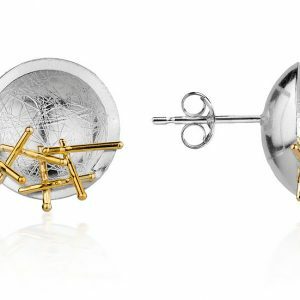 Since then he has been crafting innovative and unique jewellery culminating in the establishment of his studio in 1994. 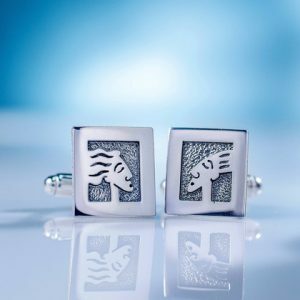 From his Dublin base, Studio 36, Alan creates a range of contemprary jewellery from gold & silver with some incorporating precious and semi-precious stones. 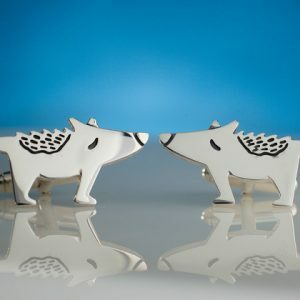 What makes Alan Ardiffs jewellery truly stand out though is his range of kinetic pieces. These novel pieces contain moving parts such as spinning hearts, swinging birds and swaying flowers. This truly adds a unique feel to his unconventional designs.